Dr Amanda Kennedy has extensive experience in law-based multidisciplinary research, particularly incorporating the social sciences. 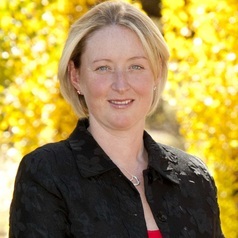 Dr Kennedy's research has been shaped by her interest in contract law and dispute resolution, with emphasis on the influence of legal instruments and institutions upon stakeholder behaviour. Her PhD research examined the law governing industrial agreements against the background of social context, and she has developed aspects of her approach in her more recent work on natural resource governance.